What was life like for women in pre-independence Singapore? What roles did women play in a society where, until well into the 20th century, there were far more males than females? These are some of the questions Singapore Women’s Hall of Fame (SWHF) set out to explore in this exhibition, which is the second collaboration with the National Museum of Singapore. The Lives of Women exhibition, open to public at the National Museums’ Concourse area until 22 July 2018, is the first of a three-part series that involves education and activities suitable for both children and adults. From the origami folding of Samsui Woman Hat and the penning of thoughts on our chalkboard, to reading The Women’s Times – a newspaper series to recount news articles about women in the past, visitors are in for a good time learning about the history of women in Singapore. The exhibition also showcases women from the Singapore Women’s Hall of Fame, and how they are part of the community which help shaped the Singapore we live in today. The second and final installations of this three-part series will, in 2019, examine the key issues affecting women in Singapore since Independence, and in 2020, look at what lies ahead. The launch of the exhibition was held on 10 May, where Ms Angelita Teo, Director of the National Museum of Singapore, shared her excitement about this collaboration with SWHF in her opening address. She further shared her delight in the exhibition that has now finally taken shape and is ready for the public. The guests were brought around the exhibits by our very own Samsui woman and Mui Tsai. 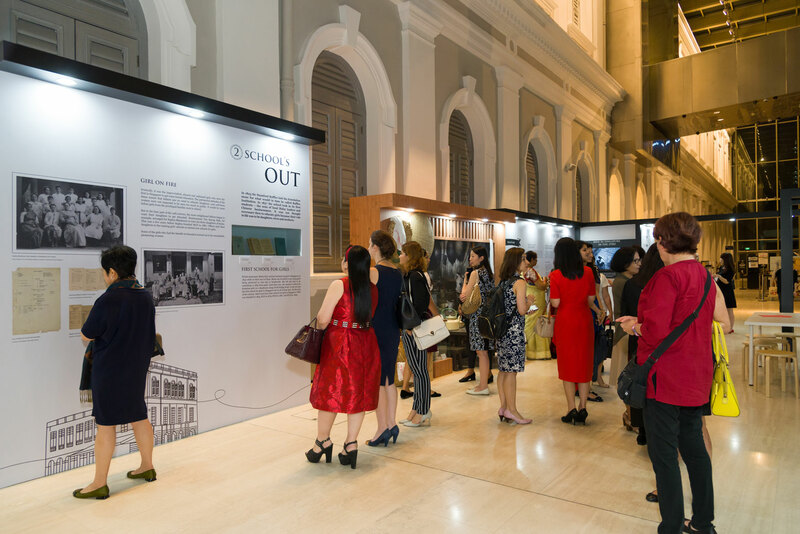 In conjunction with this exhibition, SWHF has also organised two talks to engage the public more intimately with the history of women in Singapore. The first talk, titled after the song by Donna Summer, She Works Hard for The Money, is a reflection of the very first theme of the exhibition. The talk was held on 25 May and Sociologist Dr Lai Ah Eng, who has researched and written extensively on women, heritage and multiculturalism in Singapore, offered insights into the lives of the women who worked so hard for a living. She showcased numerous photographs of women in the past at their jobs, be it servants, prostitutes or shop attendants and engaged the audience with stories of the hard lives of women. The SWHF aims to educate and reach out to the public on the often forgotten and untold stories of women in Singapore history. Do visit the exhibition and let us know what you think!